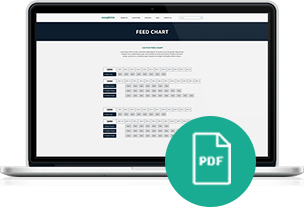 A superb recipe that compliments all the hard work put into securing foundation and structure during vegetative growth. Once a plant, or grower, has decided that it needs to devote energy and reserves into building flower and fruit mass, Autumn Gold will ensure all cravings and voids are fulfilled. This select blend of ingredients was chosen for its direct response on plants in the reproductive phase. New Millenium Laboratories were able to dial in a specific N-P-K ratio that when combined with Equinox, will accelerate flower and fruit building structures. When used in conjunction with Equinox, Autumn Gold will stimulate reproductive growth in blooming and fruiting crops. An extensive collaboration of minerals and micro elements formulated to feed bloom hungry plants with what they want and need in order to produce major flavor! 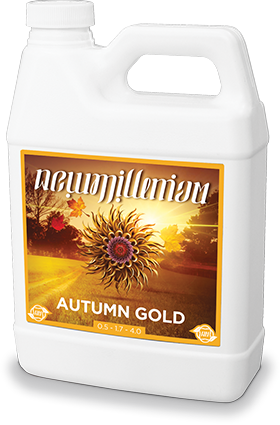 Autumn Gold (PART B) will compliment Equinox (PART A) and is formulated to promote vigorous reproductive growth during blooming and fruiting phases of plant development. 1 part Equinox with 3 parts Autumn; 3 mL Equinox with 9 mL Autumn; 4 mL Equinox with 12 mL of Autumn.